This morning he asked me to type “biggest experiment in the world” into the computer, to see what we would find for inspiration. Our exploration lead is to a YouTuber that goes by HelloMaphie. HelloMaphie inspired us to hunt down a pack of M&Ms and a pack of Skittles, both not sold at the organic food co-op that we regularly shop at. Once sourced, the decision was made that Ella would use the Skittles and Alex would use the M&Ms. 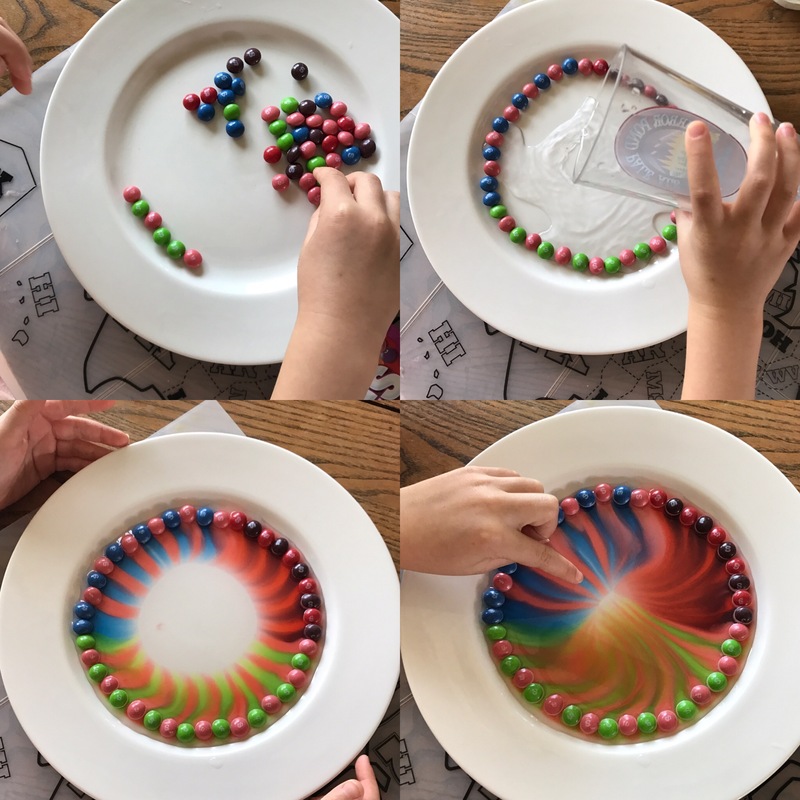 They each circled their plates with a ring of candy, and then slowly poured water into the center of the plate, until the water reached the rim, surrounding the candies. Then we watched as the magic begun to happen. The color slowly bleeds off the candy and spreads outward, creating beautiful color patterns. Love it! These turned out so pretty. I love how you alternated the colors. Good idea! That looks super cool!!!!! I would like to see the photos close up!